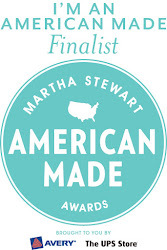 I have to admit I'm shaking a little as I type this, because I found out this morning that I am a finalist for the Martha Stewart American Made Awards. Those of you who know me, know how big of a fan I am of Martha. And I seriously owe her for making me a better baker, a better maker, a better crafter, a better home keeper, and a better decorator. And to be chosen a finalist is a huge honor, in and of itself. 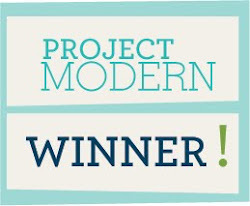 My name is Heather Jones and I am a designer and modern quilter. 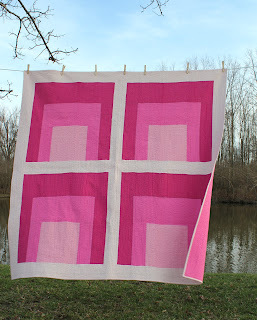 As the founder and former president of the Cincinnati Modern Quilt Guild, I love to encourage and inspire others. My inspiration comes from everyday places and non traditional things that many people wouldn't notice (think an old metal silo, works of art, or a painted grid in a parking lot), and I'm always excited by the challenge to translate that inspiration into my work. Three of my original quilts were chosen as winners of the Modern Quilt Guild’s Project Modern Challenges, a year-long national quilting competition. My creative business, Olive & Ollie, began after the birth of my first child, and I made clothing for children. I created fresh, modern designs that I sold in my etsy shop and at select retail locations throughout the US. While I love designing for children, my passion has shifted to quilting and I am now focusing on creating modern quilts and producing patterns for sale. I recently completed my first line, currently available as PDFs, and I plan to produce them on paper for wider distribution. 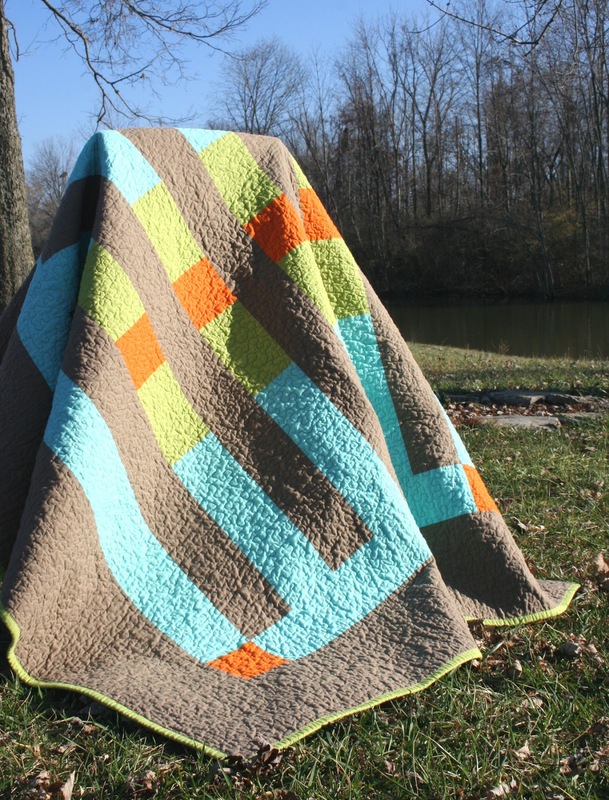 Additionally, I have launched a line of handmade quilts. I make each one with the finest fabrics and the utmost attention to quality. 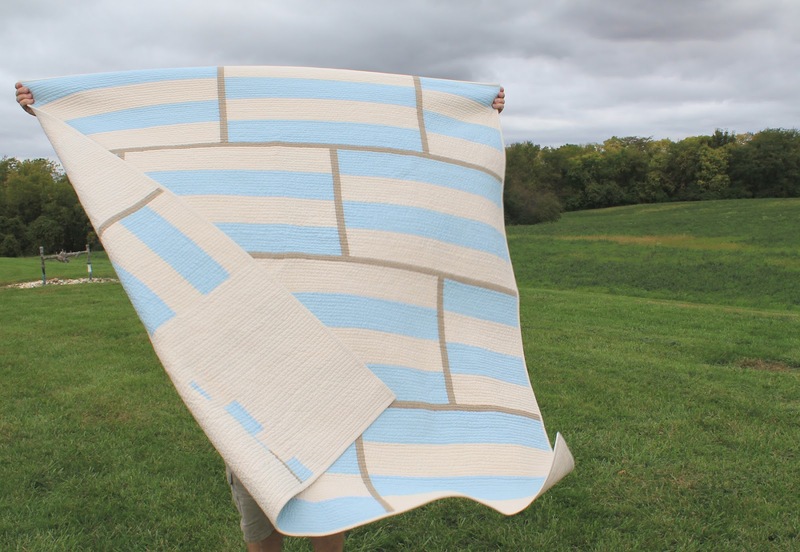 I have a great respect for the art of quilt making and I feel profoundly responsible to carry on the American craft of quilting, with a modern design sensibility. As such, I am beginning to teach courses on modern quilting in a number of venues across the country. If I win, I will use the money to produce paper versions of my patterns so that they may be distributed through stores around the county, and perhaps even around the world. I will also use the funds to start a series of handmade workshops that I've been dreaming up, and to have my first booth at the International Quilt Market. Thank you in advance for your support. I appreciate it more than you know. Oh Heather, that is such amazing and wonderful news! I'M SO THRILLED FOR YOU! I'll be voting for you FO SHO FO SHO FO SHO! CONGRATULATIONS!!! Congratulations Heather!!!!! That is fabulous news!!! I am glad you shared your entry "bio" here. I'm off to vote for you now. Good luck. How great is that?? I voted today and will continue to. Your quilts are fantastic. Congratulations and best of luck, Heather! I have a daily reminder to vote for you every day! Fingers crossed! Você é uma querida,claro que terá o meu voto.Deus te Abençoe. Congratulations!! That's so exciting off to vote now! Congratulations, Heather, and good luck! I just voted for you! Congratulations. I'm heading over to vote right now. Good luck. Just to be in the Finalists List is such an honor, but your accomplishments listed show you are someone who wants to see the growth of quilting in our country, and abroad. Congratulations! Just found your blog today and oh how I love it. Can't wait to see the final pictures of your color stripe quilt. I voted for you on Martha Stewart and will try to remember to vote everyday. Hi from Alabama! Congrats! I just voted for you & will try to do so daily. Good Luck!